Selection of color in interior design home is not an easy thing. Because color can affect mood and motivation. A mixture of red and yellow. This color will create a sense of excitement and hope. If it will be applied in the home, it can be used in your living room with the addition of furniture with neutral colors. With the combination of cheerfulness of the color orange and the balance of neutral colors will make your living room becomes brighter and lighter impressed in welcoming guests. The green color is a color that is described as the color of the plants and trees are fresh. These colors can be used in the middle of the room like a dining room because it gives the impression of cool for you now gather and enjoy a meal with family. The blue color is described as cool colors. This color can be applied to the room as a family room that will cause feel cold in the house. The blue color will create the feel of freshness while enjoying hanging out with family at home. Looks a little dark and the effect that makes the room seem a little small. However, the purple can eliminate the dirty impression of the room and turn it into more elegant. Because of this nature, purple can be applied in your home kitchen with kitchen appliances so your kitchen will look more elegant. 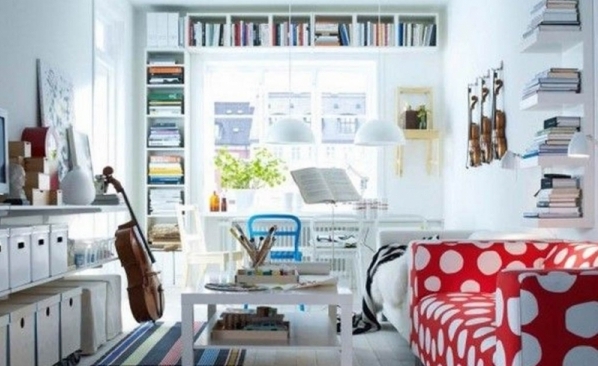 The white color will make the room seem brighter and focus. This color can also be combined with other colors darker. You can use the color white in the working room or if you want to use it on bedroom. I was especially pleased to locate this website. I wanted to thanks for your time for this wonderful read!! I certainly enjoying each and every small bit of it and I’ve you bookmarked to check out new stuff you blog post.